A trio of Collingwood youngsters will not have their contracts renewed for the 2017 season. In October 2015, Collingwood signed Melbourne-born basketballer Darrean Wyatt as a Category B rookie. 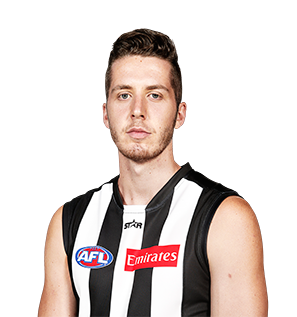 Wyatt, 22, joins the Magpies from the College of Coastal Georgia in the United States and will be classed under the same rookie category which kick-started the careers of Jarrod Witts and Mason Cox. After spending three years on a basketball scholarship, Wyatt took initiative to change career paths and made initial the contact with Collingwood’s recruiting department. Despite not having played football since his early teens, Wyatt’s athletic 200cm build has the Magpies hierarchy viewing him as a potential key position player. He completed a business degree during his time at Coastal Carolina while focussing on a promising basketball career. In his final season for the Mariners he played 28 of the team’s 30 games, including seven starting appearances.